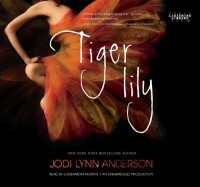 I have heard about the book Tiger Lily last year and that it was good. I didn’t really bother with it since I wasn’t really into reading YA back then. When I saw the audiobook available at LAPL, I decided to give it a go and listen to it. I was blown away. This book was a delightful surprise! This is the first book that I read by Jodi Lynn Anderson and I enjoyed it so much. It is intelligently written and it is a good retelling of the classic story Peter Pan by J. M. Barrie told by the curious fairy Tinkerbelle! I love this POV and was surprised when I realized that it was told by Tinkerbelle. Of course she wrote in that Tink can listen to thoughts and feel feelings of the humans so we still got a good insight (if a little bit colored/biased) of the main characters thoughts and feelings. Neverland is a different place. I felt it was darker and more realistic than J. M. Barrie’s, and there was no “boy that can fly.” There were the mermaids, the pirates (although more sinister and broken), the Indians, the Lost Boys, and the fairies, and everyone never grew old. There was no “second star to the right” and you could only get to Neverland by boat. I didn’t have any problems with this re-imagining at all. I liked that it was realistic to a point and tells about a darker Neverland. The story tells about the untold story of Tiger Lily and Peter Pan before he met Wendy. It is a really sad story, I think, despite everyone getting their own happy endings and despite it being a love story. Tiger Lily is a very lonely girl, who her tribe believes to be cursed and has the command of crows. 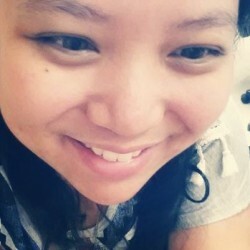 She has been bullied by the other children as a child and only has one friend, Pine Sap. At 15, the tribespeople steer clear from her until she makes one misstep and as a result was engaged to a brute named Giant. It is at this point that Tiger Lily meets Peter and unexpectedly falls in love with him. The falling in love doesn’t happen right away. And it didn’t even start out as love but as the secret meeting with Peter went on, we see Tiger Lily starting to melt and feel and love and find a kindred spirit in Peter. The iconic villain Captain James Hook is still there but he is also a drunk and a broken man with a grudge to settle with Peter for kidnapping all the boys that he took from England. It is not really explained what else the Captain has against Peter but I felt it was implied that it was very dark. Smee, the Captain’s side-kick is sick and evil and a murderer. In the end, Peter goes with Wendy and Tiger Lily is left behind in Neverland. The reason for Peter deciding to go with Wendy is a very dark one. I will not share it here as it is a major spoiler but it was heartbreaking to read/listen to. A definite must read but if you are thinking about Disney’s Peter Pan, you will be disappointed. This isn’t pixie dust and happiness. This is reality. 4 Hearts! The audiobook is read by Cassandra Morris and it was perfect! She used (or maybe has) a childlike voice perfect for Tinkerbelle. The pacing that she used was perfect and I did not have any problems following through the story. I believe that the voice she used added a different, more personal aspect as compared to reading the book. She didn’t really use different voices for the characters because it was narrated by Tinkerbelle but I did not have any problems with it and I knew which character was speaking or thinking. If you want audio, this is a very entertaining listen.